In just a few more days, the Caldecott Medal will be awarded “to the artist of the most distinguished American picture book for children.” (American Library Association website). For those of us who love children’s literature, this announcement is like the Oscars! Unfortunately, unlike the Oscars, the nominees aren’t narrowed down in advance, so it’s anyone’s guess as to which books are the strongest contenders. During my undergrad studies, I worked in the children’s section of the university library, and one particular year my supervisor was on the Caldecott committee. I remember every week felt like Christmas as boxes and boxes of books arrived for her to review. Among other things, the committee members consider the artist’s technique, the way the story is visually interpreted, and the excellence of the work in light of the audience—children! Considering there are thousands of books published for children each year, I can’t even begin to imagine reading all the books, much less the pressure of choosing just ONE. 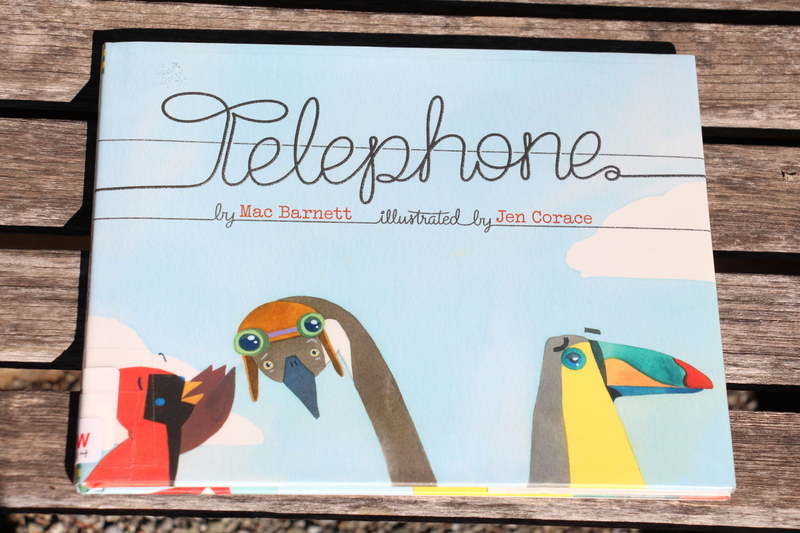 It’s time for Peter the pigeon to come home for dinner, but as the message gets passed down the line of birds sitting on the telephone wires, it turns into something else entirely different. I love the use of line in Corace’s pictures. The telephone wires stretch across the pages in unending straight lines, providing a visual contrast to the tangled, garbled message being passed along. 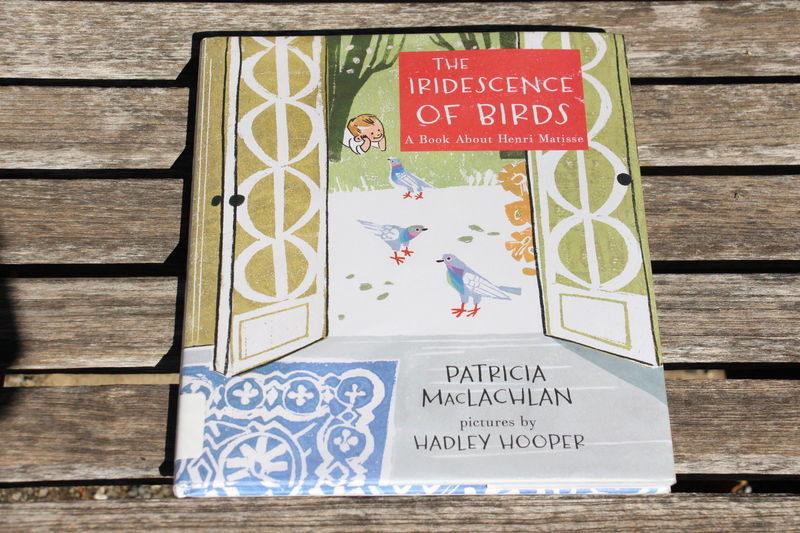 Each bird has so much character and is painted so that readers can see how the bird’s own interests and activities play into the confusion. For instance, when the message gets to the blue jay with his electric guitar, it’s not too surprising that he interprets it as “Rock stars are admired.” Luckily a wise old owl saves the day, and this visual game of telephone has a happy ending. I’ll admit right up front that in my eyes, Jon Klassen can do no wrong. He already has stacks of awards, but why not win another?! 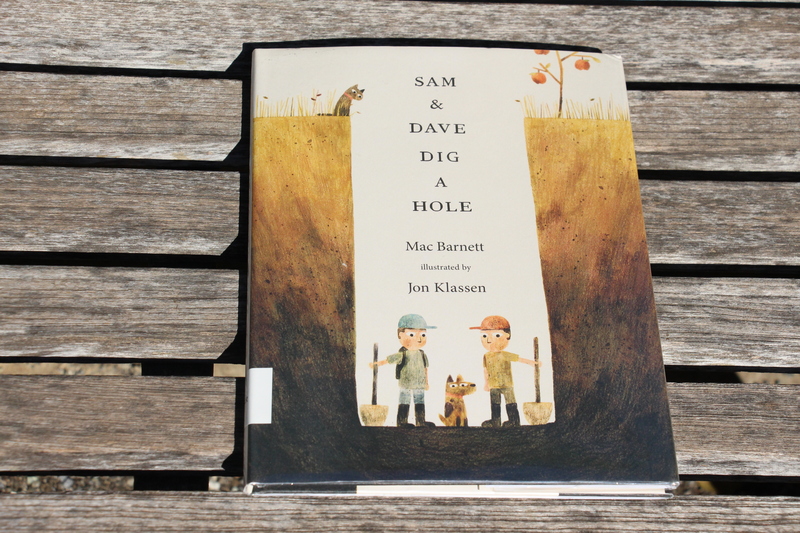 Sam and Dave decide to dig a hole, and they aren’t going to stop until they find something spectacular. Unfortunately, every time they get close to something wonderful, they change direction and miss the treasure with no idea how close they were. Readers are in on the irony, and even their dog seems to sense their near misses. Something spectacular finally does happen, but even Sam and Dave don’t realize just how spectacular it is. I really love this one because Klassen gives children insider information through his illustrations, and the story wouldn’t be nearly as fun if readers didn’t get to be in on the joke. And man, does he know how to convey humor, exasperation and surprise with just the eyes of his characters! This is a story of being brave, following your dreams, and trusting yourself to do hard things. 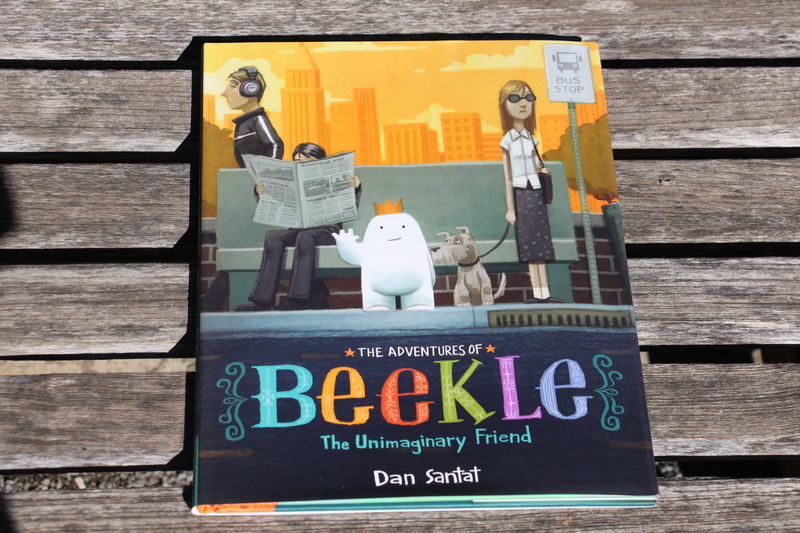 Beekle lives on the island where imaginary friends are created, and he waits and waits for his child to imagine him. But when his turn never comes, Beekle takes matters into his own hands and sets off on a journey to the real world to find his friend. The contrast between the imaginary island and the real world is stark—one is colorful, whimsical, and bright. The other is drab, dreary, and lonely. But when Beekle and his friend finally find each other, the world explodes in kaleidoscope color. I love the message that a little imagination can transform your world, and that it just takes finding your person or your passion or your favorite artwork at the DMA to pull you out of a bout of the un-imaginary blues! Elephant woke up grumpy, and seems pretty determined to stay that way. Until . . . a present arrives on his doorstep! Inside the box is a marvelous hat, and Elephant can’t wait to show Zebra. But Zebra is feeling grumpy too. Until . . . Elephant shares a hat and cheers Zebra right up. 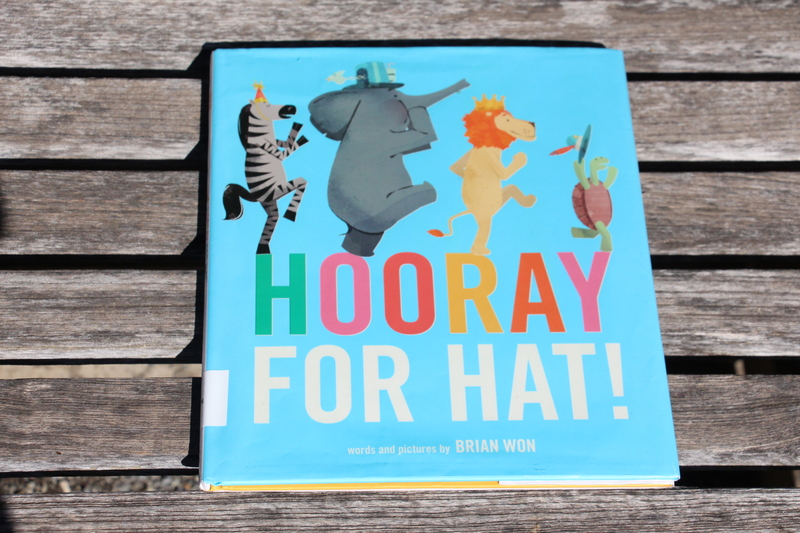 The power of sharing and caring is passed along as the friends visit Turtle, Owl, Lion, and Giraffe and realize that although they shout “hooray for hat!,” it’s their friends that really make the difference. My favorite illustrations show the animals marching along, hats perched on their heads, and good cheer jumping off the page. Won manages to perfectly capture the transformation of terrible tantrum to sunshine-y good mood, and the pictures will resonate with young children and parents alike. I can’t wait to use this one with my toddler crowd! Gaston doesn’t quite look like his perfectly polished poodle sisters. And when he tries to yip (not yap) and walk with grace (not race), he doesn’t quite pull it off. When the Poodle family runs into the Bulldog family at the park one day, it seems quite obvious that there’s been a mistake. 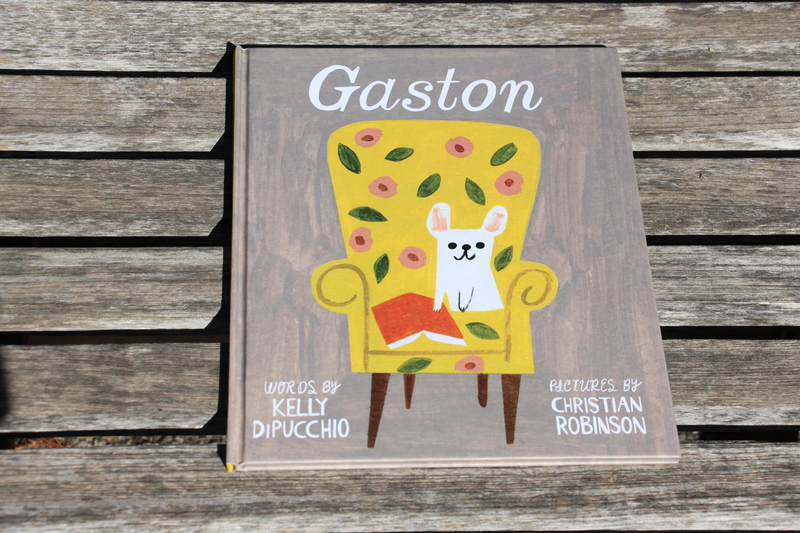 Is Gaston in the wrong family? Mrs. Poodle and Mrs. Bulldog have their puppies switch places. Now the families look right, but they don’t feel right. Where does Gaston belong? This is a perfectly charming story about being true to yourself. Robinson’s paintings are drawn with a childlike exuberance—the picture plane is flat with washes of color and the stylized puppies seem to jump off the page. And the message that you need to look deeper to really understand someone is just as true for looking at art. Matisse is one of my favorite artists, and Hooper’s interpretation of both the story and Matisse’s style is phenomenal. The story imagines Matisse as a child and how his early life influenced the artist he became—from the rugs his mother hung in the house to the birds he saw out his window. Hooper hand cut the basic shapes for the pictures out of foam, inked them and made prints, which were then scanned into Photoshop. The lines, colors and patterns scream “Matisse” and the texture created by the printmaking gives the illustrations an added warmth and depth. This would be a great book to tuck in your bag and bring to the Museum for a visit with our Matisse! I used lists from Calling Caldecott and Huffington Post to help me narrow down which books were my favorites of the year. 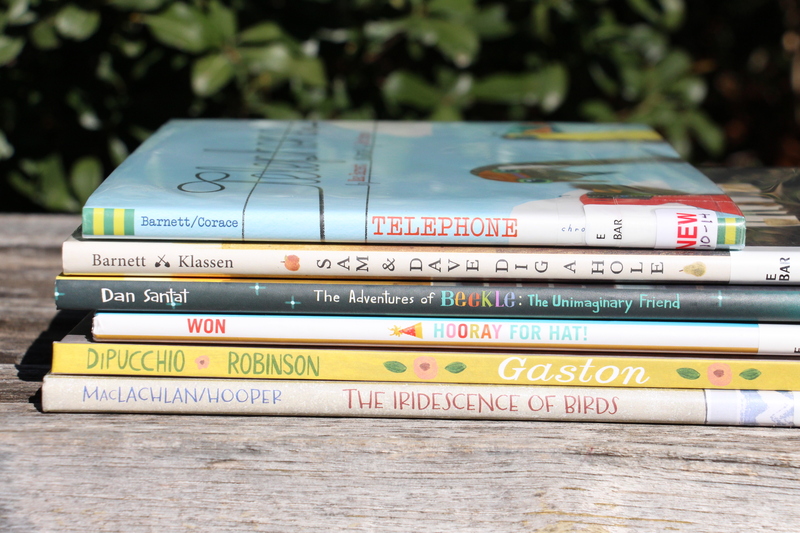 A few not pictured here (because they weren’t available at my library) that I would add are Marla Frazee’s The Farmer and The Clown and The Right Word: Roget and His Thesaurus by Jen Bryant, illustrated by Melissa Sweet. I heard Marla speak in November and when she “read” the book to us (The Farmer and The Clown is a wordless book), I choked up and got all teary. The story is so tender and the illustrations are gorgeous. Sweet’s collages for The Right Word mix imagery from Roget’s first edition of his thesaurus, vintage papers, and watercolors to create intricate layered pictures that you’ll want to pour over. Have I picked a winner? We won’t know until Monday, February 2, at 8 am when the ALA makes its announcement. So stay tuned! ← Get BooksmART at the DMA!